The Celestial Star Designed by Cristy for Purple Daisies Quilting using Paperless Paper Piecing, The Tutorial is available for free. "Hi! 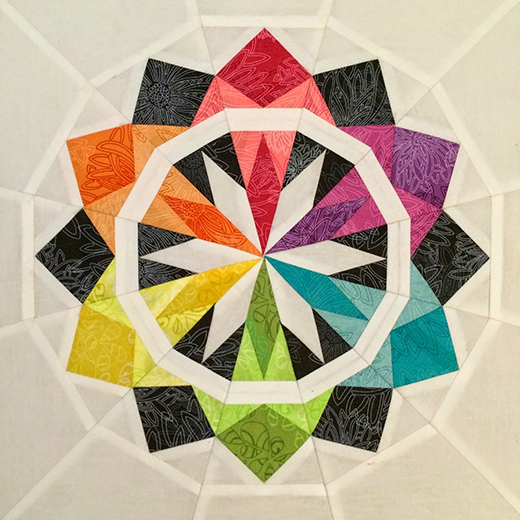 I'm really excited to be Diane's guest and to share Paperless Paper Piecing with you. It's one of my favorite techniques. I hope you'll give it a try!"